*Kindly note that The Garden Bungalow, Standard Room, Superior (Pool view) and the Deluxe Room are only available in DOUBLE type. The Terrace Room is on a TWIN bed basis. 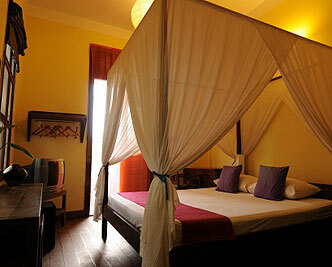 The Suite (2 separate rooms with terrace) room has 2 rooms that are available for up to 4 people. The Pavilion in larger map.